Please join us for the 2018 Queen Mary Annual Symposium in the Humanities and Social Sciences. This year will be dedicated to Professor Quentin Skinner’s book From Humanism to Hobbes: Studies in Rhetoric and Politics (Cambridge University Press, 2018). Registration is essential. Although the Age of Enlightenment saw the development of radically new approaches to comprehending and reforming society and politics, our current understanding is that the existence of poverty was rarely problematized by eighteenth-century thinkers, writers and officials – notwithstanding that ‘the poor’ made up the clear majority of Europe’s population. This picture only changed in the transformative decade of the 1790s. 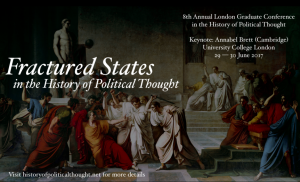 This conference brings together historians with a wide range of geographical and theoretical expertise to re-examine the ways in which poverty was conceptualised in the social, political and religious discourses of eighteenth-century Europe. The conference is generously supported by the King’s College London Faculty of Humanities Research Grant Programme, Dept. of History Research Fund and Centre for Enlightenment Studies; University College London’s History Dept. Events Fund; and the Royal Historical Society. Those wishing to attend are requested to register by emailing Niall O’Flaherty (niall.o’flaherty@kcl.ac.uk) and Robin Mills (robin.mills@ucl.ac.uk) by 31 August. Places are limited and will be offered on a rolling basis. Please click here to download a copy of the conference programme. Call for Participation: Manuscript Workshop on Professor Annelien de Dijn (University of Utrecht), Freedom: An Unruly History (Harvard University Press, forthcoming). The Centre for Enlightenment Studies at King’s College London, with support from the Leverhulme Trust, is proud to host a manuscript workshop on Professor de Dijn’s forthcoming intellectual history Freedom: An Unruly History. This will take the form of five hour-long chapter-by-chapter sessions opened by commentators followed by general discussion. For expressions of interest in attending or for further details please contact robin.mills@ucl.ac.uk. Places are limited so email asap. Participation at this event involves committing to reading as much of the manuscript as possible and attending with the intention to contribute to discussion if possible. Refreshments will be provided and there will be a subsidised dinner for attendees. We are pleased to announce the programme for the Centre’s Annual International Symposium in the Humanities and Social Sciences, which will be held on Friday, 15 June 2018. The symposium is devoted to the work of Professor Martin E. Jay (Berkeley), and registration is essential. To download the conference programme, please click here. For the conference poster, please click here. The speakers at the conference include Peter Ghosh (Oxford), Niklas Oslen (Copenhagen), Greg Conti (Cambridge), Gareth Stedman Jones (QMUL), Emily Jones (Cambridge), Jennifer Pitts (Chicago), William Selinger (Harvard), Maurizio Isabella (QMUL), Stuart Jones (Manchester), Andrew Sartori (NYU), Eva Hausteiner (Bonn), Leslie Butler (Dartmouth), Georgios Varouxakis (QMUL), Duncan Kelly (Cambridge), Anne-Sophie Chambost (Université Jean Monnet Saint-Etienne), Rachel Hoffman (Cambridge), Quentin Skinner (QMUL), Udi Greenberg (Dartmouth), Julia Nicholls (KCL), and Richard Bourke (QMUL). Registration for this event is essential. To download the conference programme, please click here. Please save the date for the 2018 Annual Nicolai Rubinstein Lecture in Intellectual History and the History of Political Thought, which will be delivered by Samuel Moyn (Yale). The lecture, titled ‘Judith Shklar’s Critique of Cold War Liberalism’, will be followed by a drinks reception, to which all are welcome. Registration for this event is essential. Political liberalism is today in dire straits. Cold War legacies have made it a dubious theory of individual liberty against the expansive state rather than a doctrine that promotes social freedom and material equality. 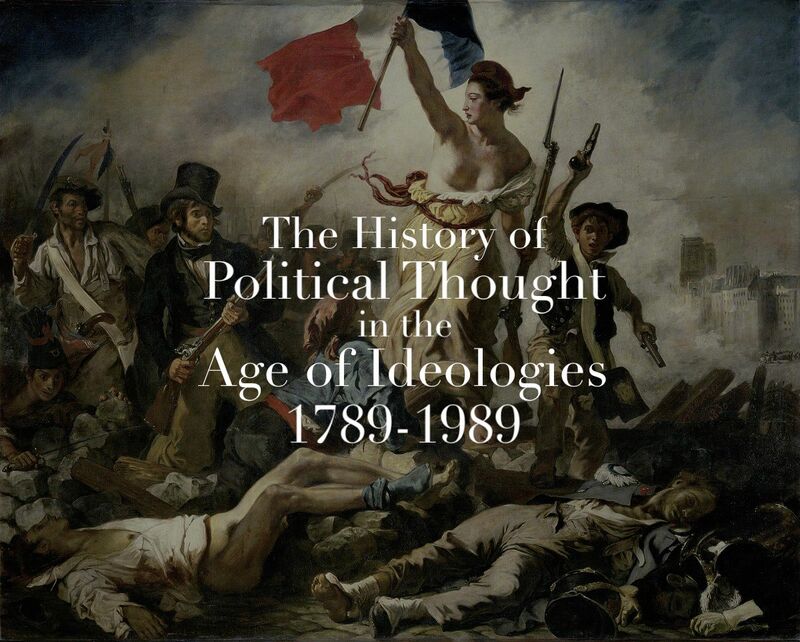 This lecture will focus on the leading post-War American political thinker, Judith Shklar – returning, decades before she propounded her famous “liberalism of fear,” to her earliest writings. These in effect mounted an argument against her future self. Shklar’s first book, After Utopia, offered a critique of the limits of Cold War liberalism, before she herself came to adopt a version of it. The lecture will assess this early perspective, claiming that it represents a more attractive option in the face of the crisis of liberalism today. This workshop is co-sponsored by the Institute for the Humanities and Social Sciences at QMUL and the Review of Social Economy. Please visit this webpage for the full programme and more information. We are pleased to announce the details of ‘Happiness in Political and Moral Thought’, a symposium organised by the Centre’s Professor Georgios Varouxakis (Queen Mary University of London) with the assistance of Professor Mark Philp (Warwick) and Professor Philip Schofield (UCL, Bentham Project). Barbara Arneil (University of British Columbia): “The Failure of Planned Happiness: The Rise and Fall of British Home Colonies”. Please note: Places for this event are strictly limited, and will be allocated to those who apply first. If you wish to know if there are places left, please email Georgios Varouxakis (g.varouxakis@qmul.ac.uk). 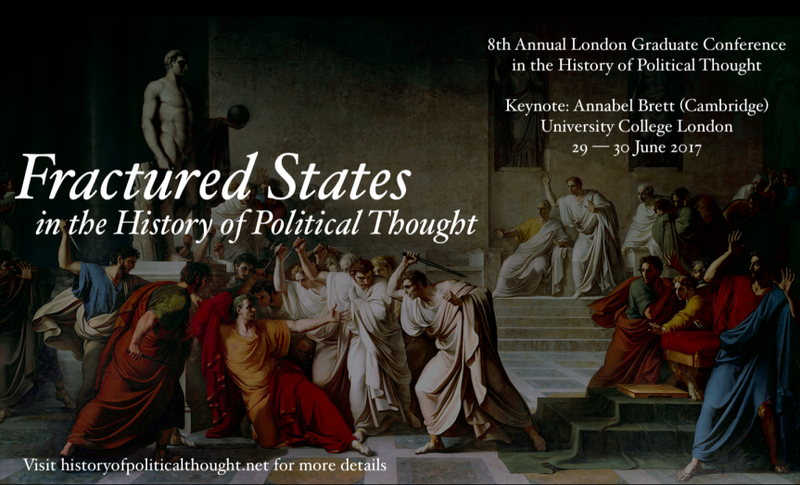 Registration for the 8th Annual London Graduate Conference in the History of Political Thought is now open. Please visit the conference website for programme, registration and further details.